is a graduate of the University of Bucharest (MA in International Relations, 2009). Currently, his main research focus is the Black Sea security architecture in the aftermath of the Ukrainian crisis. George joined ROEC in 2013. In the past, he has collaborated with various Romanian and international publications and institutions such as “22” magazine, Foreign Policy Romania, Center for European Policy Analysis, Al Jazeera Center for Studies and Diario de Noticias and, was an assistant political analyst for the Limited Electoral Observation Mission of the OSCE/ODIHR in Romania. 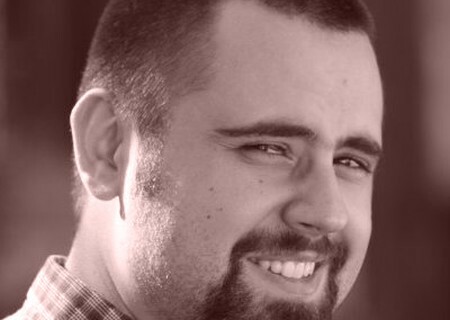 George co-founded civitaspolitics.org, a portal dedicated to analysis of Romanian politics and international affairs. The 12 multi-role aircraft acquired lately by Romania represent a huge leap forward in terms of capability for the Romanian Air Force. This brief discusses the political, policy and practical motivations, benefits and risks, as well as the ups and downs of a drawn out acquisition process. Despite a series of shortcomings (used aircraft, a rather small weapons package, fragmented and protracted acquisition process), the new fighters are a necessary first step in the modernization process of the Romanian Air Force. The F16 aircraft offers capabilities that were not available with the MiG-21 and increase the level of interoperability with NATO and the United States. On September 28, 2016, Romania formally took possession of 6 F-16 AM/BM out of a batch of 12 aircraft, acquired from the Portuguese Air Force in 2013. By the end of 2016, 3 more F-16s will be delivered to the Romanian Air Force and the last aircraft will be taken over in early 2017. The multirole fighters represent a major improvement in Romania’s capacity to defend its sovereign air space and modernize its air force. In the current regional geopolitical context, the new fighters are more than welcomed given the increasing Russian air incursions near NATO air space and unprofessional encounters between them and Alliance aircraft. The 6 aircraft will form the nucleus of a new unit, the 53rd “Warhawks” fighter squadron based at 86th Air Base, near Borcea, in Romania’s East, close to the Black Sea. On October 7, 2016, the new aircraft undertook patrols and air policing missions of the Romanian air space for the first time. Until the arrival of the new aircraft, the Romanian Air Force relied only on Soviet built MiG-21 to intercept Russian aircraft getting too close to its airspace and/or on allied aircraft deployed in Romania as part of the reassurance package agreed in the aftermath of the Ukrainian crisis. American, Canadian and Portuguese aircraft helped Romania police its skies as Russian aircraft increased their patrols near its airspace. In terms of military capability, the F-16s bought by Romania bring closer interoperability with its NATO allies and the United States along with sophisticated air-to-air and air-to-ground weapons. Of note is the AIM-120 AMRAAM C-5 medium range air–to-air missile that gives once again the Romanian Air Force the capability to engage and prosecute targets beyond visual range, a capability lost when it retired its MiG-29 and MiG-23 fighters at the beginning of 21st century. For air-to-ground missions, the highlights of the weapons package are the GPS and laser guided GBU-12 bombs, the AGM-65 air-to-ground missiles as well as the Sniper Advanced Targeting Pod – the most sophisticated of its kind available on the market at present. However, the precision guided munitions associated with the F-16 acquisition come in small quantities – only 10 enhanced GBU-12 and 18 AGM-65 missiles, so for the time being the new aircraft will also use some of the ordnance employed by MiG-21 Lancer compatible with the F-16 such as laser and infrared guided bombs. A real improvement in capability compared to legacy aircraft is the increased range of the F-16 and its ability to be refueled in flight. Romanian pilots will be able to spend more time in the air and cover longer distances with their aircraft. Furthermore, the F-16 is much more agile than MiG-21, giving the Romanian Air Force the capability to engage and prosecute highly maneuverable targets. Although, the 12 multi-role aircraft acquired by Romania represent a huge leap forward in terms of capability for the Romanian Air Force, there are still lingering questions concerning the direction and pace of its modernization. Originally, Romania required 48 multirole aircraft to defend its air space and fulfill its obligations to NATO. Between 2005 and 2008, it was expected that Bucharest will follow Warsaw’s path and order a large number of western multirole fighters to replace its Soviet era aircraft. However, the acquisition of new aircraft was postponed many times during this period and, with the onset of the economic crisis, was placed on the back burner. In 2013, when it became obvious that the Romanian Air Force (RoAF) had trouble fulfilling its missions, something had to be done. There was already talk among experts of gaps in NATO’s air defenses on the eastern flank as a result of defense cuts and the Romanian Ministry of Defense openly acknowledged that it could not carry out the air police missions according to Alliance standards due to the lack of adequate resources. A decision was made to acquire used F-16s from other NATO countries as newly built aircraft could not be bought due to budgetary concerns. The 12 F-16s acquired by Romania are first generation models (A/B series) built at the beginning of the 1980s, which have received the Mid Life Update package (the so called MLU standard) which gives similar capabilities to later generation models (the C/D series). Romania payed EUR 628 million for the aircraft which includes modernization, upgrades, weapons, spare parts and training. However, even with these upgrades some of the first generation limitations are evident, such as the use of the AN/APG-66 radar rather than the more advanced AN/APG-68 employed by the vast majority of newly built models. For example, the F-16 AM/BM series, although can fire the beyond visual range (BVR) AIM-120 missile, cannot however fully exploit its capabilities. Another technical issue with the MLU F-16s bought by Romania is their age. These aircraft are more than 30 years old, despite being overhauled and upgraded. Officially, the Romanian Air Force expects 20 years of service and 200 flight hours per year from every aircraft. Furthermore, Romanian authorities have emphasized that the life of the F-16 airframe could be extended from the normal 8,000 flight hours to 10,800 flight hours. Given their age and their technology as well as the costs, that may prove an unrealistic expectation. Romania will most likely get 10-15 years of operational life from its first batch of used F-16s. However, one should bear in mind that the MiG-21 has been operated by the Romanian Air Force since 1962 and will still fly in 2019, albeit for the last time. Politics wise, the acquisition process was delayed, muddled and fragmented. Romania was expected to acquire western aircraft, not necessarily American models though. The F-16s were bought without a tender, through an intergovernmental agreement, from the Portuguese government, which in turn received U.S. assistance in order to fulfil its obligations. Romania did not conduct an open tender, as Poland did in 2004, when it acquired the latest model of F-16 available on the market at the time. Instead, Romania relied on requests for information and on an internal selection process. European fighters such as JAS-39 Gripen, Eurofighter Typhoon and Dassault Rafale, along with F-16s have been evaluated in flight by the Romanian Air Force, however, used F-16s were eventually preferred. In 2010 Romania accepted a 2008 offer from the U.S. government and Lockheed Martin for the acquisition of 24 used F-16 C/D and 24 newly built models for USD 4.5 billion, but the transaction never went through due to the economic crisis. European producers and governments may have felt snubbed by Romania’s fighter choice. Moreover, Romanian policymakers have signaled since 2010 that used F-16s are not just an interim solution but a bridge towards acquiring the 5th generation F-35 Lightning II strike fighter. If this policy is put in place, European fighter manufacturers are going to be excluded altogether from the modernization process of the Romanian Air Force. Although the Romanian military and policymakers may congratulate themselves on the acquisition of new fighters for the air force, the public may see things quite differently. While no one really contends the qualities of the F-16 as an effective military asset, there is an inescapable truth regarding Romania’s new fighters: these are used aircraft or, in common parlance, “second hand” items. These aircraft were bought from Portugal, which in turn bought 9 already used from the United States in the 1990s. For the Romanian order, 3 other F-16s were bought from the United States Air Force, overhauled and upgraded in Portugal. When acquired, none of the 12 F-16 was in active service, but had been stored and awaited disposal. Consequently, no one should blame the public if it looks with some suspicion, even distrust towards this military acquisition. Buying used military big ticket items may make economic sense for the second poorest country of the EU, however it may not increase the public trust in the ability of the armed force to protect the country, nor it may enhance its reputation among its allies. A case in point is the acquisition of the two Type 22 frigate in 2003, which has been marred by corruption allegations and yet to be fully modernized and upgraded. When Romania contemplated buying 48 newly built multirole fighters it was ready to spend EUR 4.5 billion on the program, yet such a defense expenditure was hard to justify when the country wasn’t able to plan and build a highway to cross the Carpathian Mountains. Another issue affecting the F-16 deal is the lack of any offsets. Transactions involving used military equipment don’t usually come with economic compensation for the buyer. This is true in the case of Romania’s F-16s – they do not come with an offset agreement. However, the Romanian policymakers wish to integrate the maintenance of the new fighter locally. Policy wise the path chosen for the modernization of the Romanian Air Force is not yet clear, despite 3 years having passed since the formal start of the F-16 program. No document whatsoever has been put forward by the Ministry of Defense or the staff of the Romanian armed forces concerning the modernization of the air force. Fighter acquisition is only a part of this drawn out and complex process. The Romanian Air Force requires not only multirole fighters, but also trainers, helicopters and modern integrated air defense systems. It is not merely a modernization process, when one swaps obsolete equipment for new one, but the re-capitalization of the entire service. Even now, the modernization of the fighter force is not fully spelled out. Out of the original requirement of 48 fighters set out in 2005, it seems that Romanian policymakers have opted for 36 and, as it stands right now, none of them will be newly built models, but used first generation F-16 AM/BM that European allies or the United States are going to make available. Furthermore, the acquisition process remains concentrated on squadron sized buys of 12 aircraft, rather than bigger block buys – likely as a result of a still tight military budget. A new fighter squadron is expected to be acquired between 2017 and 2019. If Romania’s F-16 acquisition process remains focused on used first generation models, it faces an increased risked of attrition and a faster rate of obsolescence in the long term. However, given the current political and strategic context in Europe and the Black Sea, the Romanian government should have considered either a larger block buy of 24 aircraft or, at least in the case of the third squadron, acquiring newly built aircraft. Such a move would have lent more credibility to the entire RoAF modernization effort, signaling also its seriousness about increasing military spending to the 2% of GDP threshold mandated by NATO. – The Ministry of Defense should put out a white paper detailing the plans concerning the modernization of the Romanian Air Force. The document should set out a reasonable timeframe concerning the recapitalization of the service, future force structure and its missions. – A larger weapons package should be acquired concurrently with the second squadron of F-16s as the current one covers only initial operational needs. An emphasis should be placed on creating a larger stock of munitions in the long term. Consideration should be given to acquiring standoff precision guided munitions such as the JASSM and/or giving the aircraft an anti-ship capability. – A risk analysis should be conducted concerning the operation of an all F-16 AM/BM multi role fighter force in the medium and long term taking into account the costs, the regional and global security environment as well as new technological developments in air warfare. The government should consider buying a squadron of new F-16 as part of the process of modernizing the Romanian Air Force. Such an acquisition will reduce risks associated with operating an all used F-16 AM/BM fighter force and will bolster the credibility of the service. The operational costs involving flying two F-16 variants are manageable. – Finally, the Ministry of Defense should conduct a cost-benefit analysis on acquiring a fifth generation aircraft. Tony Osborne, “Up Close and Personal with the MiG”, Aviation Week, September 28, 2015, available at http://aviationweek.com/blog/close-and-personal-mig-21. See also Thomas Frear, Lukasz Kulesa and Ian Kearns, “Dangerous Brinkmanship: Close Military Encounters Between Russia and the West in 2014, available at http://www.europeanleadershipnetwork.org/medialibrary/2014/11/09/6375e3da/Dangerous%20Brinkmanship.pdf, pp. 1-2, for details concerning increased Russian Air Force patrols near NATO airspace. The F-16 acquisition process is based on government to government transactions – which, in theory, precludes any suspicions of graft. Știrile TVR – Ediție Specială, October 10, 2016, guests Mihnea Motoc, Romanian Minister of Defense and lt. gen. Nicolae Ciucă, Romanian Army Chief of Staff.